The show featured gowns with bold statements. Our favorites? "I'm not shy I just don't like you" and "Sorry I'm late I didn't want to come." It's been another weird week in retail. This fashion house's designs say what we're all thinking, footwear goes natural and Under Armour sets its sights on space. Ever wish you could say something but it'd be considered socially inept if you did? Well this designer made it so the clothes can do all the talking for you. 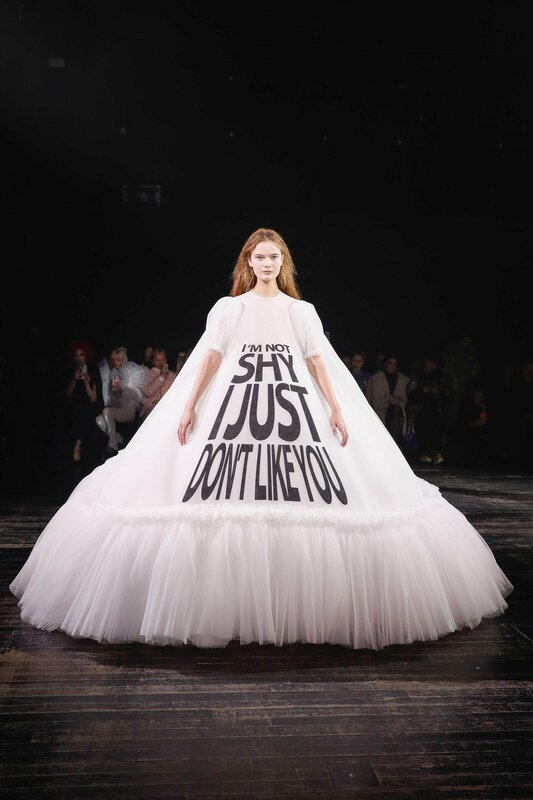 Viktor & Rolf's Haute Couture spring/summer 2019 collection appeared on the runway this week and features 17 larger-than-life dresses with some bold messages. Some of our favorites? "Sorry I'm late I didn't want to come," "I'm not shy I just don't like you" and simply, "NO." 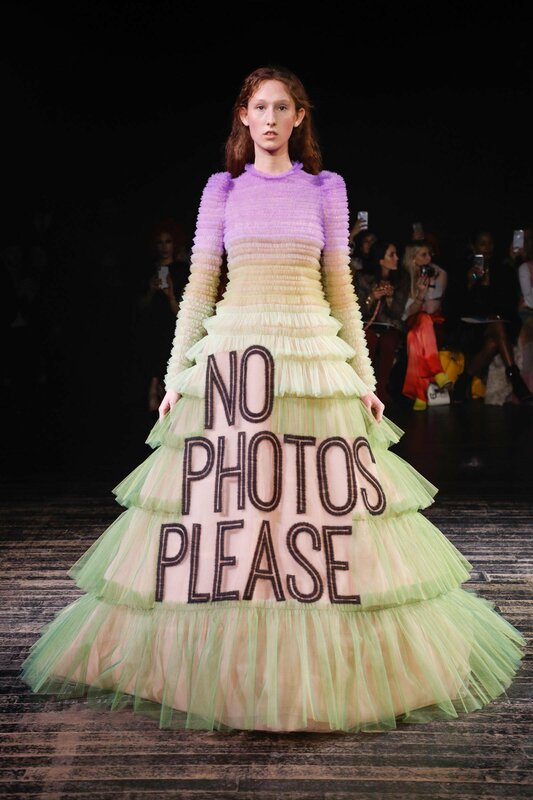 And if this meme-inspired couture isn't everyone's 2019 mood, we don't know what is. The entire show is our biggest fantasy filled with pastels, tulle and everything we think to ourselves at least 10 times a day. You've heard of wearing your heart on your sleeve. Well, this year is about wearing your whole mood proudly. In an era where more and more people are opting for a "natural" lifestyle, it makes sense for retailers to create products for their needs. And we're assuming that's the only logical explanation for the grass-inspired shoes that have been cropping up lately. 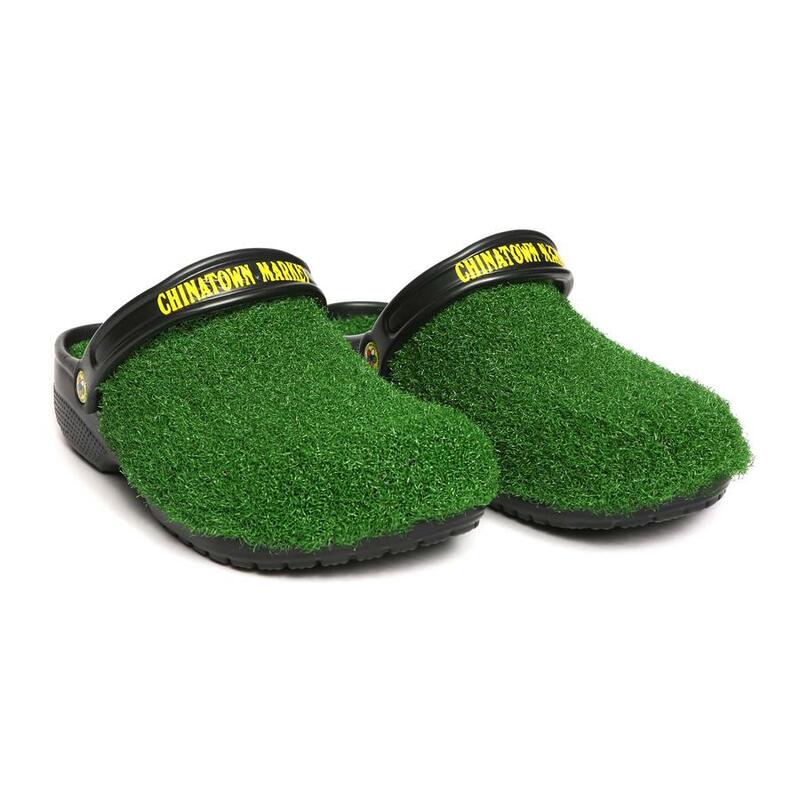 But to be clear, there is nothing natural about these turf-covered shoes. 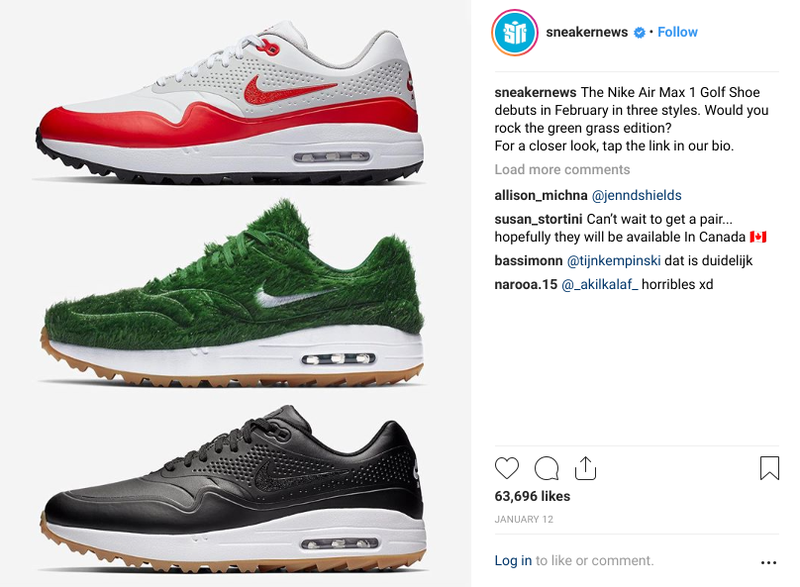 Sneaker News in an Instagram post on Jan. 12 reported that Nike's Air Max 1 Golf Shoe debuts in February (but J23 App on Twitter says the shoes could drop as early as the end of this month). The shoe comes in three styles, including one that appears to be sprouting grass. 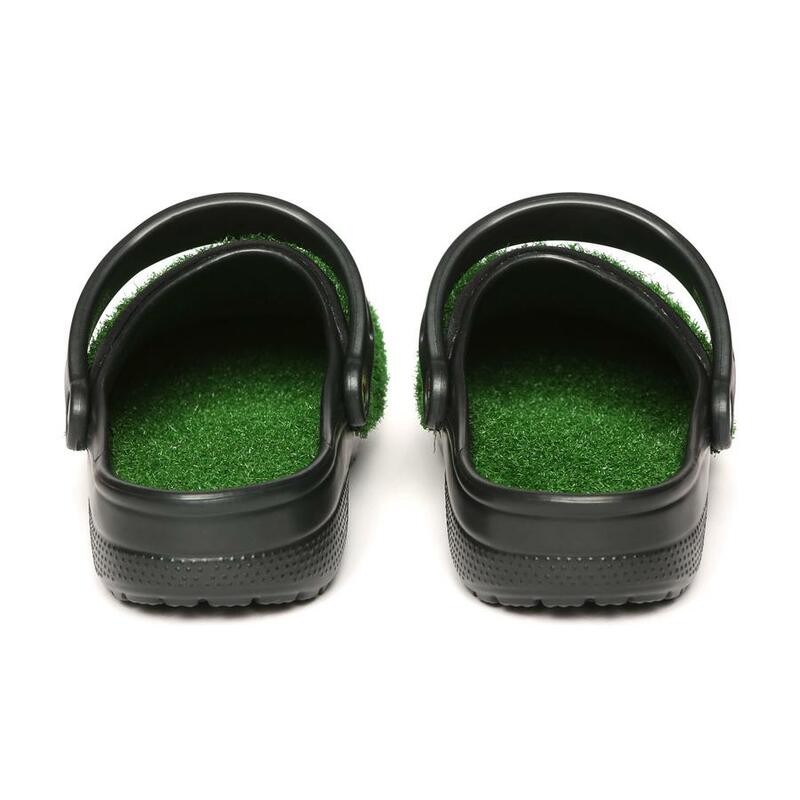 And while these would make the perfect shoes if Oscar the Grouch ever picked up golf as a hobby, we can't picture Tiger wearing these at the next Masters. Forget the saying, "Be the ball." Nike wants athletes to be (and wear) the entire course. 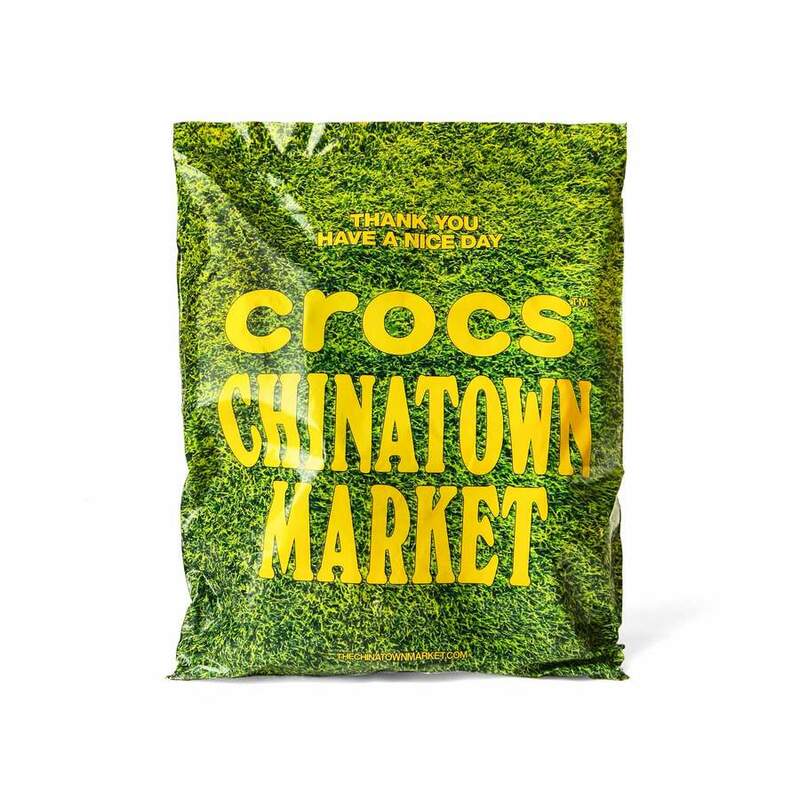 And to no one's surprise, Crocs also released a pair of grassy kicks ($60) with The Chinatown Market on Thursday, which sold out the same day. Because, as it turns out, the human race is trash. And Crocs knows it. 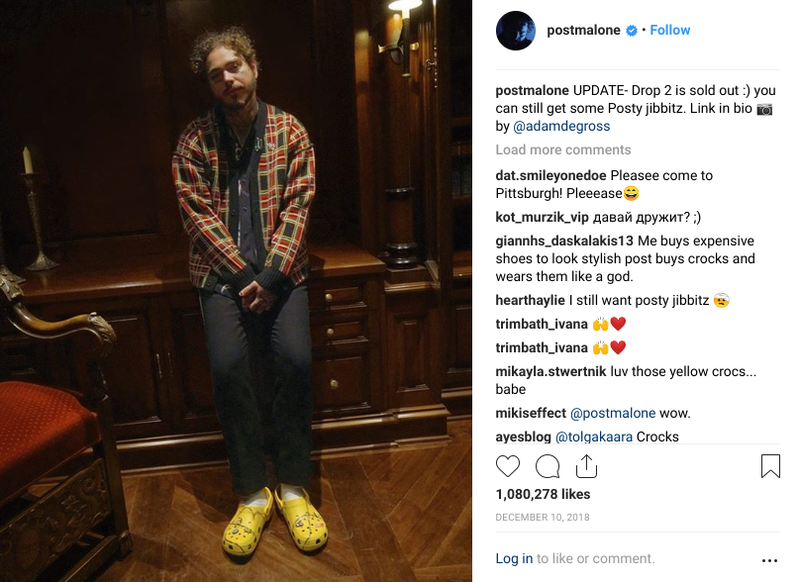 In November the company teamed up with Post Malone to release a limited edition pair of Crocs with a print of a baby devil and a pin of the rapper's famous "Stay Away" tattoo, which also sold out in less than a day. Of course. For a company that has suffered from low results in its North America unit, it appears like it's willing to try anything — even something that may be considered out of this world. Under Armour on Thursday announced it will be designing spacesuits for the crew and passengers of Virgin Galactic when it takes flight. Because it's 2019 and space apparel is the next fashion frontier. 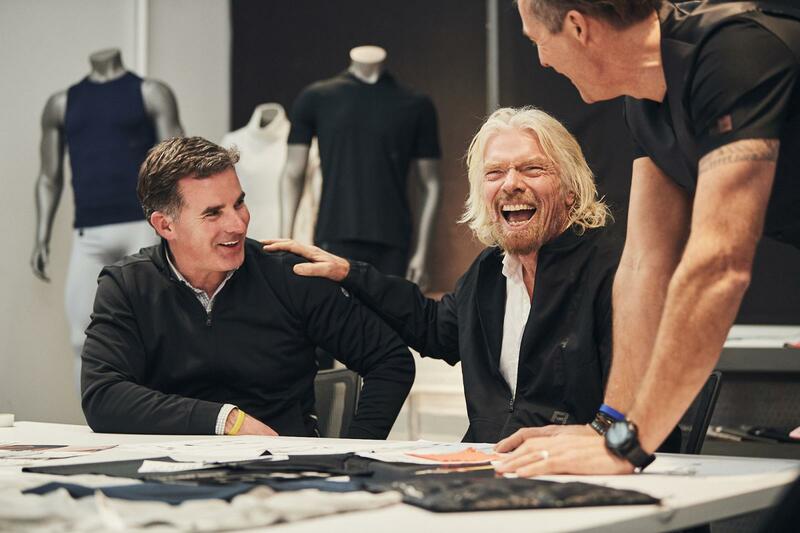 Although Under Armour CEO Kevin Plank said the designs won't be unveiled until later this year, Virgin Galactic's Sir Richard Branson revealed to CNN his true vision for the spacewear. "Apart from maybe giving birth to your children and getting married — it's going to be a momentous day, the day that you remember the most," Branson said. "So if you're going to do that, you want to be able to look in the mirror before you go up and feel 'I am an astronaut.'" Buckle up and buy your spacesuits now because Branson said that day could come as early as this July. For those of you with cash burning a hole in your pocket (can't relate), consider throwing some of it at these wonderfully ridiculous items. H. Moser released a watch with no hands. And if you thought the lack of equipment would cut the price, you were severely mistaken because the piece costs a whopping $350,000. But, we can't lie, the watch is really cool. An article on Hodinkee explains that it resembles a traditional minute keeper, so you tell time by listening rather than seeing. And if it wasn't for the price, we bet a lot of millennials would be sporting these around. 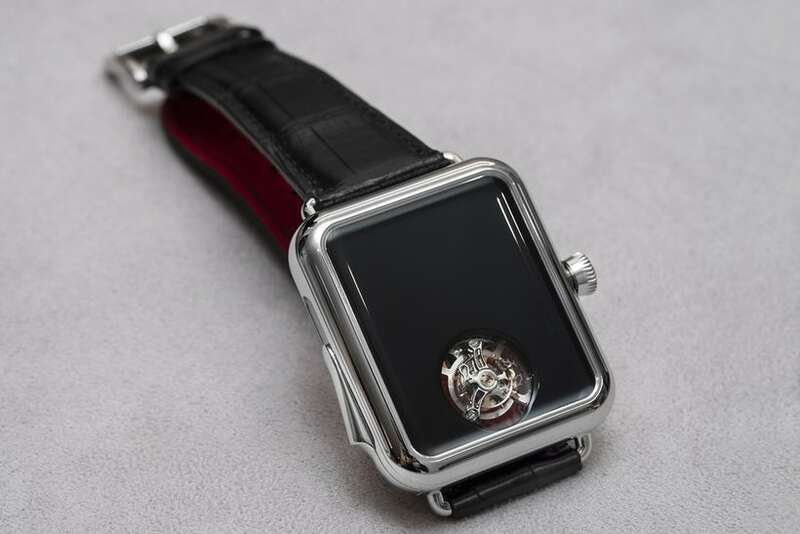 But for the traditionalists who firmly believe hands belong on watches, we have something else that will scream, "I have tons of money and I want everyone to know it." 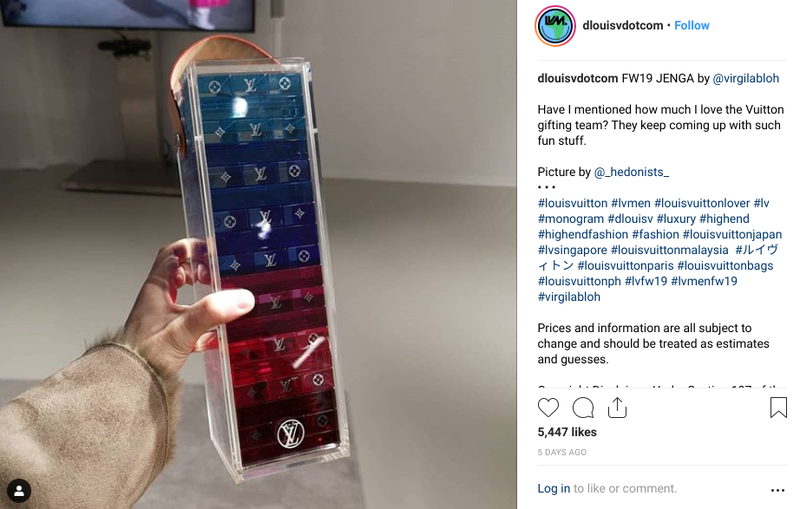 Louis Vuitton, who recently got in a spat with the toymaker of "Pooey Puitton," has moved into the toy business. The luxury fashion house unveiled a translucent Jenga set rumored to be priced at a cool $2,450, according to a Highsnobiety report. Because there's absolutely nothing worse than being caught with a version of this classic game that's around $10. What are we, peasants?? ?